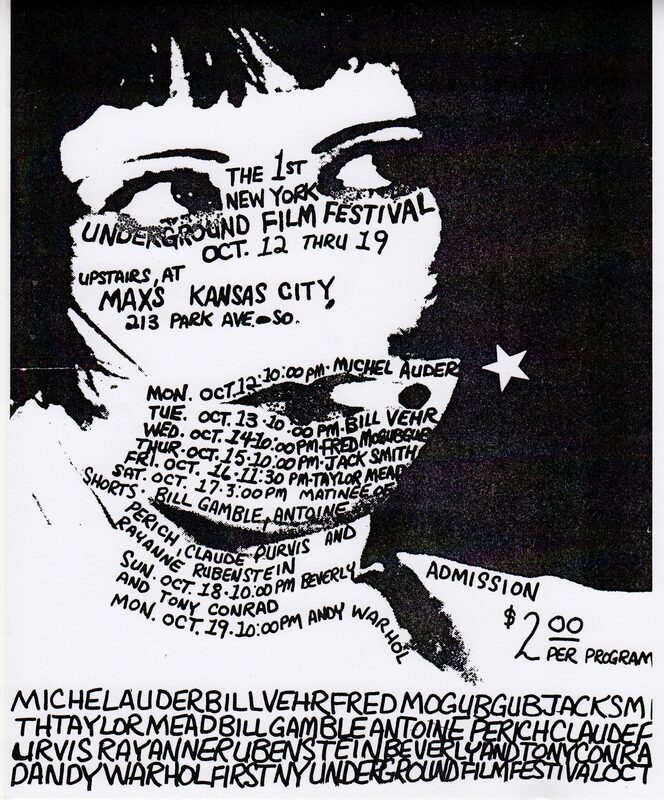 More » Uncovered: The 1970 New York Underground Film Festival! 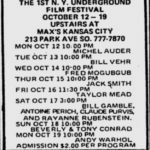 Poster for the 1970 New York Underground Film Festival, which was held October 12-19 at Max’s Kansas City in New York City. The festival screened work by Anton Perich, Jack Smith, Andy Warhol, Tony Conrad, Fred Mogubgub and others. Read about it here.